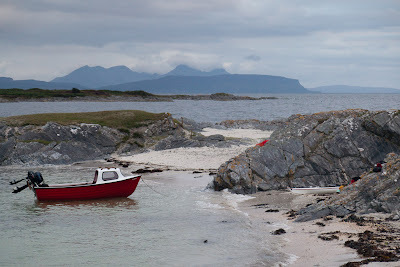 We landed on a shell sand beach in the lee of some skerries on the Moidart coastline. 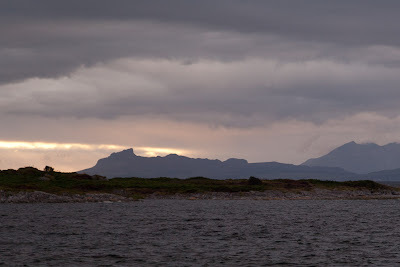 We had travelled so far south that Rum now lay behind Eigg on the horizon. Donald's boat and engines are heavy but high tide was about 8pm and as we intended to launch about 8am the next morning, no hauling up the beach was required. 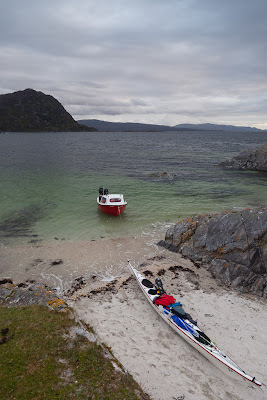 I think I will stick with a sea kayak though! ...and as the receding tide left Donald's boat high and dry, we lit a fire on the beach. 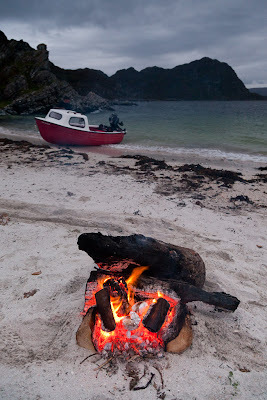 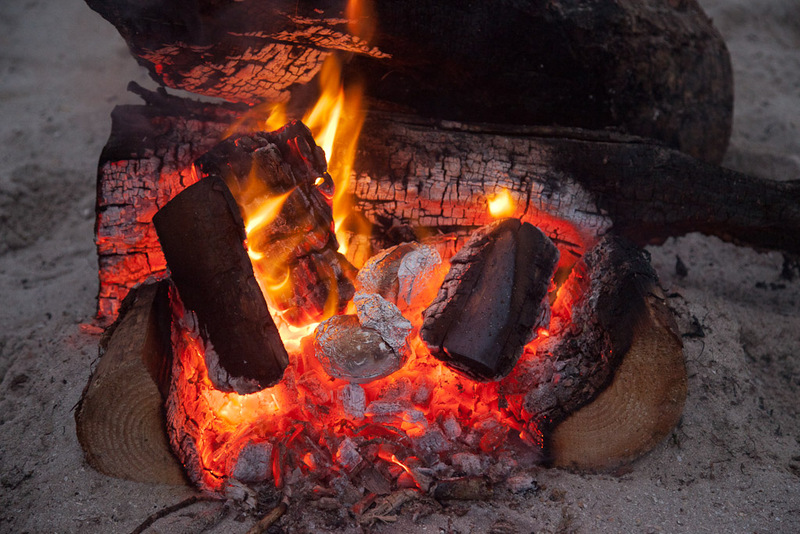 A bag of barbecue charcoal always makes a good heart for a fire and I had also bought a sack of logs from a petrol station on the road north to Arisaig.